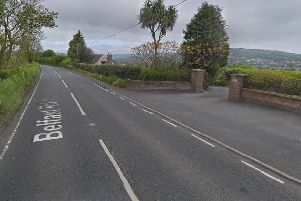 A man arrested after a road traffic collision in Co Donegal in which two people were killed and three others injured has been released without charge. The vehicle they were travelling in hit a wall at Eastend, Bundoran, in the early hours of Sunday morning. Gardai said the man and woman who died, aged in their 20s, were passengers in the car. Post mortem examinations are due to be carried out on the two deceased at Sligo University Hospital later today. A woman and two men, also aged in their 20s, suffered serious injuries and are being treated in hospital in Sligo. Pictures showed a blue car with severe damage to the front and back close to the base of a pole. Garda forensic collision investigation officers attended the scene and the road was closed to traffic. The Peugeot car appeared to have hit a yellow brick perimeter wall and partially demolished it. The engine and a rear axle had dislodged and were lying in the street. The vehicle came to rest a short distance away up the road.